Authorities in South Sudan have arrested a prominent economist and government critic, according to his wife. Peter Biar Ajak was taken away by the National Security Service on Saturday, his wife Nyathon James Hoth says. 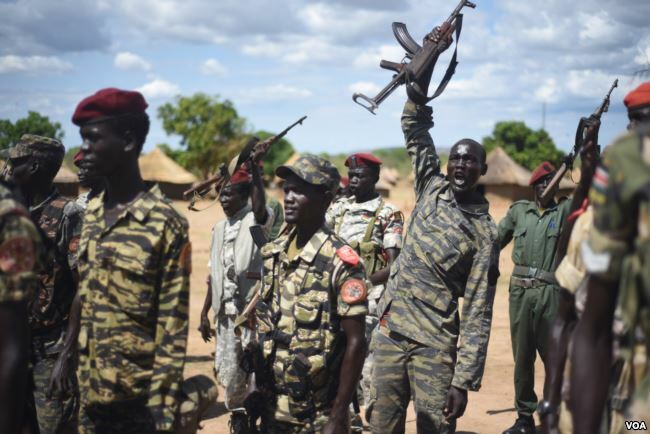 The former World Bank economist has been highly critical of both the government and opposition groups over South Sudan’s civil conflict and drawn-out peace negotiations. Nyathon James Hoth says her husband was taken away by officers from the National Security Service on Saturday without any reason given for his arrest. Speaking to Reuters, she said she hopes to meet with authorities and get an explanation for his detention. When asked by reporters, Information Minister Michael Makuei offered no insights into the reason for Biar’s arrest. Peter Biar Ajak is a country director for the London School of Economics’ International Growth Centre and a former World Bank economist. He was one of South Sudan’s “Lost Boys,” a group of roughly 40,000 children who were displaced or orphaned during the Sudanese civil war, which ended in 2005 and resulted in South Sudan’s independence. He’s been involved in peace and reconciliation efforts in the country since its own civil war broke out and became the first South Sudanese citizen to study at Cambridge Universty. Now he’s being detained in one of South Sudan’s most notorious prisons where detainees face starvation or death, according to the Associated Press.